We have been counted amongst the most trusted names in this domain, engaged in providing Chipper Shredder. • Chopping and blowing cotton stalks into 11 to 12 mm size. Clients need to confirm if any other cutting size required. • Cotton stalks to be fed manually into the chopper. • Flywheel type cutting mechanism is used. • Tractor driven Mobile, trailing version machine complete in all aspects with axle and tyres etc. 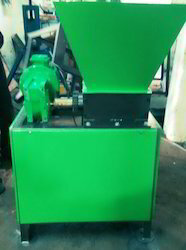 Available with us, is Electric Chipper Shredder that is ideal for farms, tea estates and for preparing vermicompost. 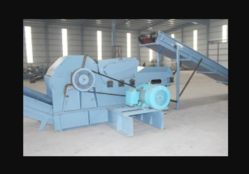 This equipment helps in increasing the quantity and volume of compost produced on the farm. Keeping in mind the specific requirements of our clients, we offer these equipment at competent prices.